Very recent photos of Iran Khodro Metro Station, along Tehran Metro Line 5 (regional rail). 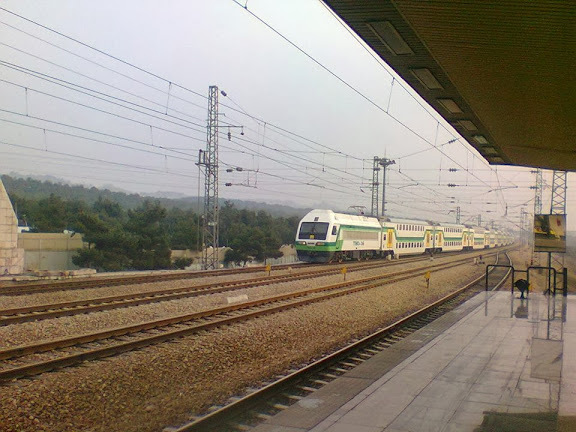 Station is located north of Tehran-Karaj Freeway and near Iran Khodro's automotive factory, between Chitgar Metro Station and Vardavard Metro Station. 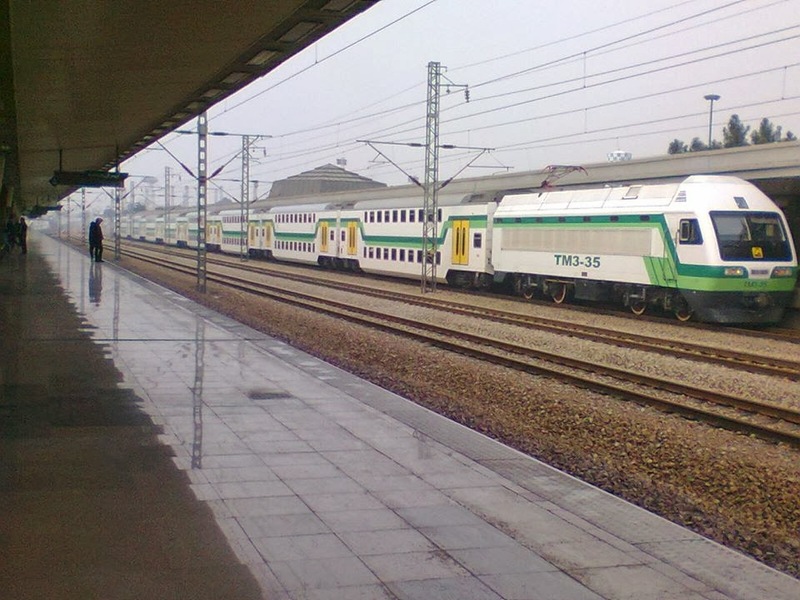 Tehran-Karaj Line 5 TM3 locomotive appears to be later model SS8 with 3200 KW and 140 km/h from Zhuzhou Electric Locomotive Works, pulling what appears to be CNTIC/CTC double-decker railcars of similar type seen assembled at Tehran Wagon Manufacturing Company plant in Tehran. Where aare the graffitis on trains and walls ?